Digitalbarton.com Blog - John Barton - Founding partner of Testify Digital : STAR WARS COFFEE? A BRAND ON THE DARK SIDE..? STAR WARS COFFEE? A BRAND ON THE DARK SIDE..? I'm not a Star Wars fan but I am a coffee fan. I just wonder will George Lucas sanction ANY product collaboration? I would love to see how this sells. It will probably fly out. Even if its just for the novelty of having an unopened batch in the kitchen. 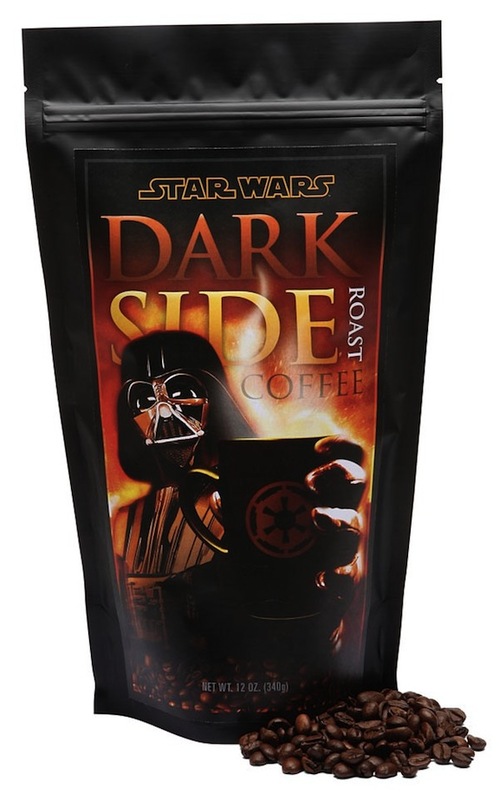 "Get a taste of the Dark Side with this rich hand roasted coffee. Three diverse coffees and two different roasts create a full-bodied, sharp, cup with spicy undertones and smoky, dark-roasted complexity. Vader's Dark Roast Coffee is commonly enjoyed by Dark Lords of the Sith while planning new Death Star construction, but give into your anger, sample a steaming cup and you will be rewarded with power beyond your imagination." Coffee blend is comprised of coffees from Africa and Indonesia. Even though these are not certified fair trade, they are specialty-grade coffees which means that droid farmers receive a higher price/pound, compared to exchange-grade coffees.